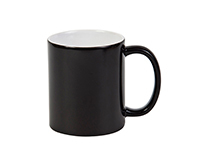 Magic Mug can easily stand out with your logos, slogans, graphic designs or any unique text when you pour in any hot drink. An ideal for corporate gifts. Get them for gifts, coffee shops, stores, restaurants, or to use as company promotional giveaways at exhibitions, conferences, trade shows and events. 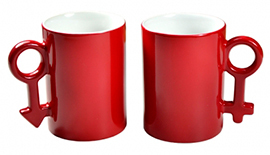 Magic mug is temperature-sensitive (react to heat or cold), where the image on the exterior of the mug will change color when the mug is being exposed to heat or cold (heat-sensitive based product is more common). 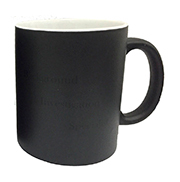 The "magic" nature of the mug makes the mug much more interesting, where you could put hidden message or motive where it will only be exposed when in contact with heat, which makes a great gift candidate. 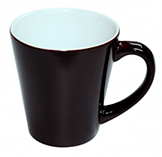 We are Ceramic Mug Supplier in the market over 10 years and able to offer best and competitive price to you for sure. 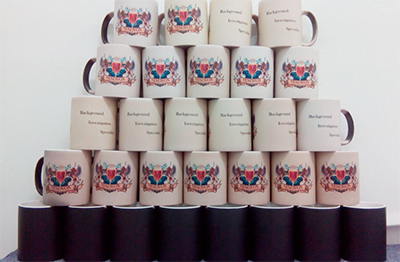 There are no setup costs or hidden charges for multiple colors (Full Color Printing). Most of our customer happy on our services and come back to us again for years.